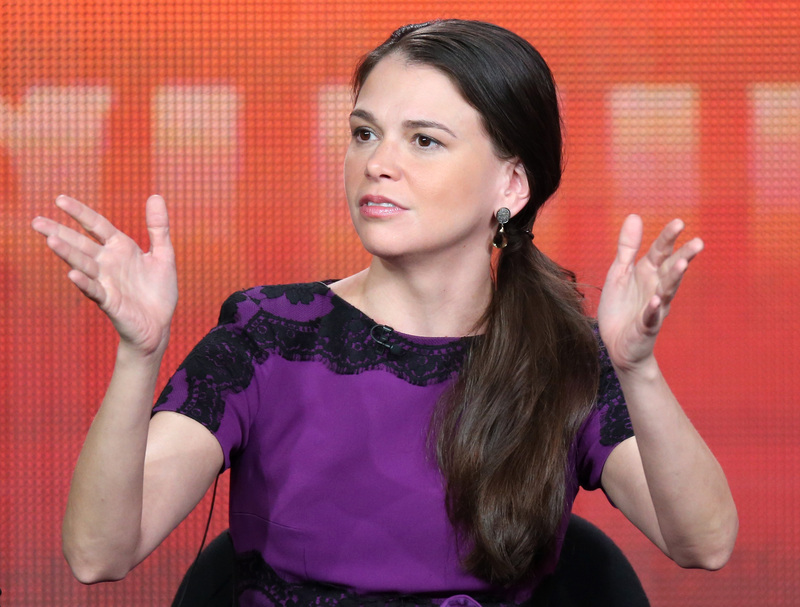 Whatever your opinions were for on the late Bunheads, there is one undeniable fact: Sutton Foster is amazeballs. I think that's the scientific term, anyway. And now that Foster's starring with Hillary Duff in Younger , it's time to revisit the things that make her so great. Younger stars Foster as Liza, a newly single 40-year-old mom who masquerades as a 26-year-old to "better re-enter the workforce." Duff plays her presumably actually 26-year-old co-worker, whom she befriends. My instincts tell me that the best place for Sutton Foster is someplace like Broadway (where she's already won two Tonys out of five nominations) or really anywhere where she us singing and/or dancing all the time where I can see her. The presence of Duff and other Younger co-star Miriam Shore (Hedwig and the Angry Inch), though, leaves open the possibility for some sort of amazing karaoke session and/or musical episode we'll get to witness, which is really all a Sutton Foster project needs to get my stamp of approval. This show might be the start of a new theory of mine that all you need for a perfectly serviceable and charming sitcom is a cast game for a musical episode.